I'm not a traditional kind of girl in any sense of the word. Especially when it comes to food. The crazier the better for me. 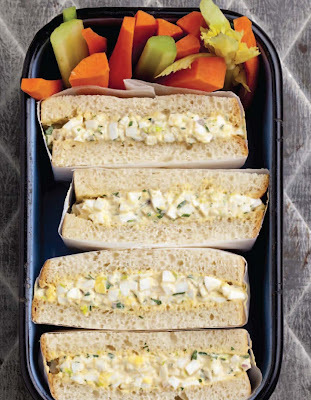 So I was happy to see that even a basic egg salad sandwich was kicked up a notch in Emeril's upcoming book Kicked Up Sandwiches. The book is due to hit the shelves on Oct. 16th and trust me you're going to want to get a copy. There are over 100 sandwiches, several bread recipes and some cool condiment ideas. Twenty-one bloggers (myself included) are working with Emeril to spread the word about this book. Did I mention the Egg Salad? 1. Roughly chop the eggs and place them in a mixing bowl. Add the salt, mustard, paprika, shallot, green onion, celery, and mayonnaise. Stir with a rubber spatula or a spoon until very well blended. Transfer to a container, cover, and refrigerate for at least 2 hours and up to 4 days. 2. Spread 1/4 to 1/2 cup of the egg salad between 2 slices of bread. Repeat with the remaining salad and bread. I'd love to win a copy of this book. One of my favorite sandwiches is bacon, spinach, tomato and avocado. 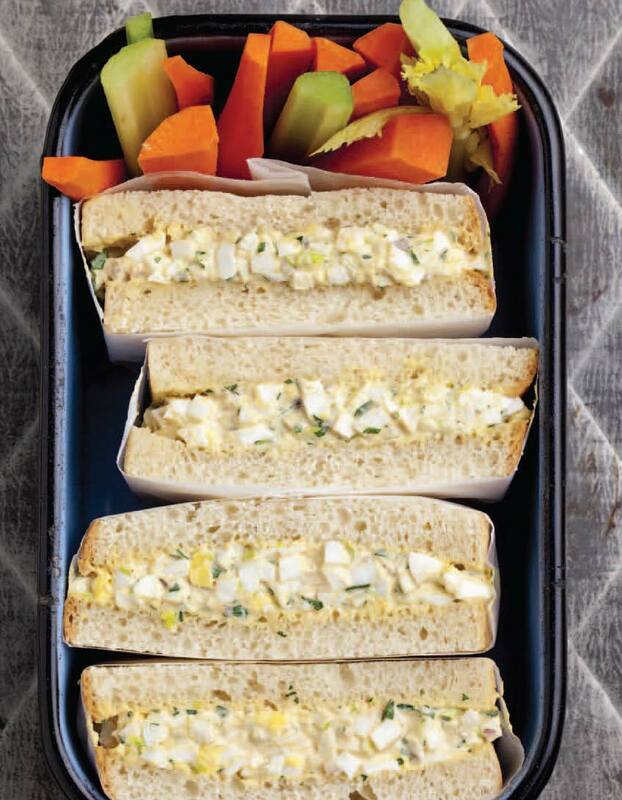 I love a deli sub, but at home I'm a big fan of egg salad... and I'm loving the kicked up version you shared here!